Casino Euro – Football Fever Missions! Play for the football experience of a lifetime! Win a Football Trip To London, worth €8,000! 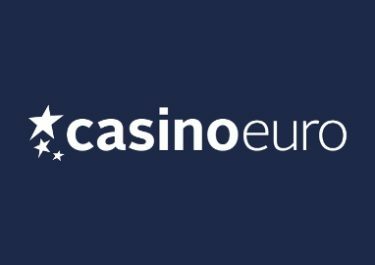 Football and Premier League fans, the spotlight is on you this week at Casino Euro. 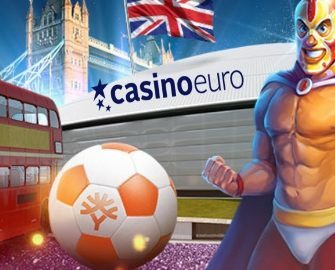 Enter the Football Fever Missions to win a share of the €50,000 prize pool including an exclusive VIP trip to London to watch a Premier League Match or any of the other 599 cash prizes. But that’s not all as the TOP700 scorers will be invited to a separate raffle with over 90 prizes. Simply complete three missions in the fewest possible spins to race in to the TOP600 on the leader board to win one of the prizes. A massive €50,000 must go in this thrilling tournament, including an VIP trip to a Premier League match in London for the fastest spinner. Complete three missions in the fewest possible spins and walk away with massive cash prizes from €20 – €6,000. This is a network wide campaign by Yggdrasil Gaming. 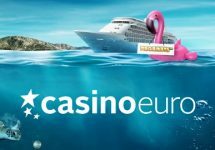 Please check your relevant casino site whether they are participating. 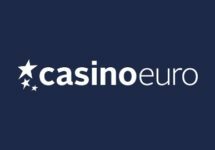 Minimum bet is €0.25 or currency equivalent with cash funds only. Players can restart their mission after minimum 25 spins and can try to improve their score right up to the end of the tournament, however, the best score will always be kept. A tournament tab in the game client displays all relevant information. Follow your progress on the in-game leader board which is updated every 60 seconds. 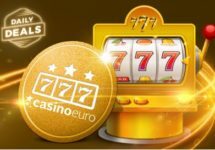 The TOP700 players will be invited to an additional raffle with a €3,000 prize pool from 00:01 – 23:59 CET on 17th July 2018 with 98 available prizes. To take part, qualifying players have to open one of three tournament games during the raffle period.